Apple gave developers an early preview of its upcoming Photos app this month at WWDC, but what it didn’t tell anyone is that new app for iOS will also overthrow Apple’s iPhoto and Aperture apps for OS X. 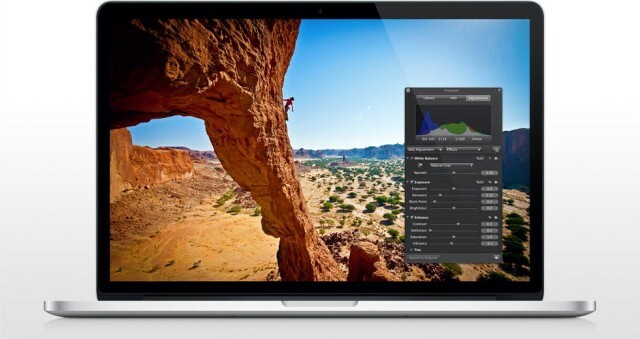 A new Photos app for OS X isn’t expected to land on Macs until next year, but in a statement released to The Loop, Apple says it has already stopped development on its professional photography application, Aperture. iPhoto is also getting the axe after serving as the photography hub for Apple’s iLife suite for the past decade. The new Photos app will absorb many of iPhoto’s features while also giving users the same experience Apple introduced on iOS 8 with editing controls for color, lighting, filters and more. Pros who have been using Aperture for years will undoudtedly be frustrated, but there are still plenty of better options for Mac, like Lightroom. Apple’s not ditch pro software altogether though. The Loop reports Apple is adamant that their other professional apps like Logic Pro and Final Cut Pro will continue to get the love and attention they deserve from Cupertino’s software engineers.